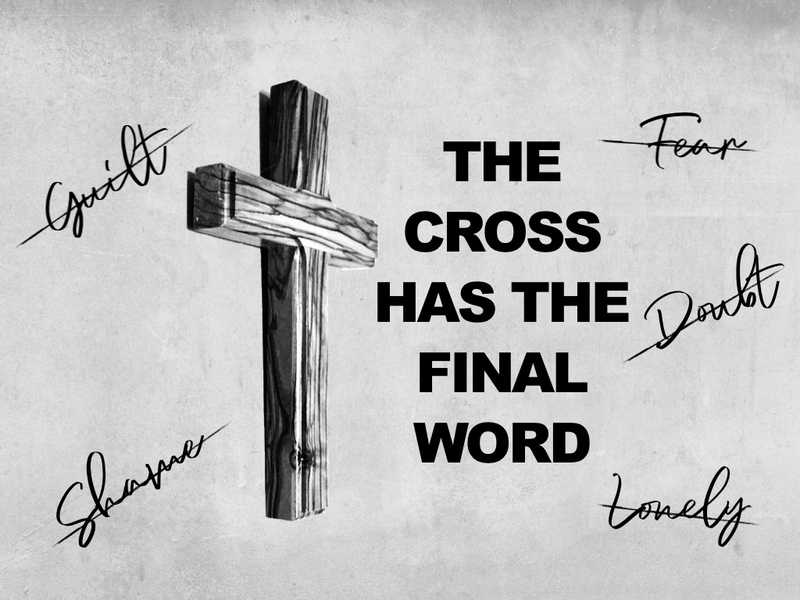 This Easter we focus our Sunday teaching on the completed work of Christ on the cross, specifically looking at how the cross overcame every barrier and lie that tries to control and shape our lives. Since the fall of mankind things such as fear, shame, guilt and doubt (amongst other things) have become rooted in our lives. These things so often control and shape the way we live sometimes without us even being aware of their influence or how deeply they affect us. Think about the hard worker who piles hours and hours into their work but never quite feels that they are good enough, or the young person who never tries anything new because they are afraid of failure, or the mother who constantly feels guilty as a parent, but can never quite put her finger on why. Many of us know that the work of Christ on the cross deals with Sin and the resulting brokenness, bringing us back into right relationship with the Father. However, we can still find these forces at work in our lives, perhaps under the surface or rising up when we least expect it. As we look together at the complete and full work of Christ on the cross this Easter may our eyes be opened to how God has dealt with shame, fear, guilt and doubt through the cross, and may we see how we can stand in the power of the cross and not be controlled, defined or shaped by anything other than Jesus.